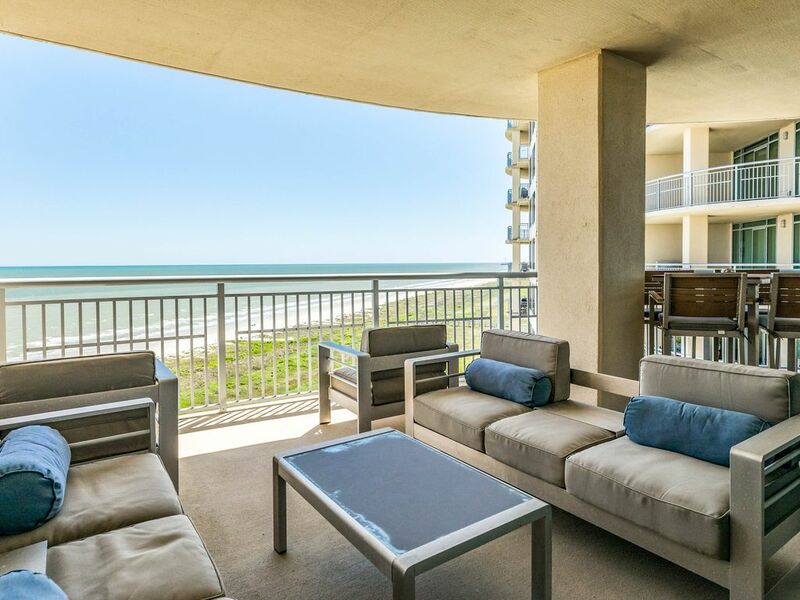 If you're looking for the perfect spot to enjoy the warm Texas sun, look no further than this oceanview Galveston getaway. Boasting a long list of amenities like a kid's playground, fitness center, game room, pools, hot tubs, and tennis courts, this is the perfect spot for fun and relaxation! Located in the Palisade Palms community on the north end of Galveston Island, you'll be just steps from the sugar-sand beaches and beachside action. You'll be about three miles from Pleasure Pier, and eight miles from Schlitterbahn Water Park. Freshly renovated, this bright and spacious home has a modern ambience with a chic style. Enjoy a private washer/dryer, cable TV, free WiFi, central A/C, and a fully equipped kitchen. After hitting the sauna or game room, relax on the balcony with a local microbrew and start planning your next adventure. Whether you're out on the town, playing on the beach, or floating in the pool, this Texas home makes it a breeze to slip into vacation mode. Book today! This rental is located on floor 10. Parking Notes: There is parking in the common parking area across from the main entrance. Parking is first come, first served. Water Access: Beach is just across the dune walkover. Just as pictures show. Nice place. Only improvement would be any extra bed in 2nd bedroom instead of pullout couch. I just wish it had a gas grill as pictured...we ended up buying our own. Very nice place with beautiful views out every direction!! Enjoyed the comfortable seating and all the high tech amenities. Decor was spot on!